The current economic growth is facing downward pressure, and the inflation index is relatively mild; the US dollar rate hike may come to an end. On the policy front, management has relaxedCreditPolicy instruments such as restraint, targeted open market operations, and reduction of reserve ratios, maintaining market capital stability, improving the financing environment for SMEs, and showing strong policy stability intentions. On the whole, the overall environment at home and abroad is still conducive to the bond market. Medium and long term this yearinterest rateThe bond yield may show a downward trend of volatility, accompanied by the implementation of the demand-based policy and the implementation effect.interest rateThe volatility of debt may also increase. In the credit market, the investment target will continue to differentiate, and the credit spreads of medium and high-grade, especially medium-rated bonds may continue to shrink; and subject to the continuous exposure of credit default events, the yield of low-grade bonds will be on the rise. 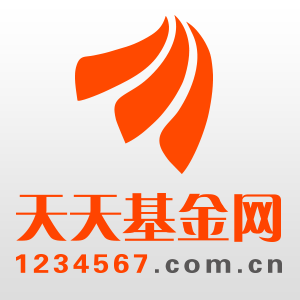 ConsideringConvertible bondFactors such as supply and demand, the current low valuation level of the convertible bond market may present certain investment opportunities.Stock baseThis type of convertible bond with good margin, low premium rate and high yield to maturity has good configuration value. At present, the convertible bond market is in the stage of a new round of scale expansion. The stock market of the convertible bond market is around 290 billion, and the number of pending convertibles is around 400 billion. At the same time, the valuation of the convertible bond market has undergone nearly three years of adjustment in the equity market. At present, the overall bond attributes are relatively high, the stock valuation is relatively low, and the allocation value appears. For 2019, the biggest risk in the bond market is still credit risk, and bond portfolio management needs to adhere to the concept of absolute returns. Combined with the current market environment, Liu Bo believes that the volatility of medium and long-term interest rate bonds may increase in 2019, the trading attributes need to be strengthened, and the mining of credit bonds and convertible bonds may bring excessive returns to the investment portfolio. The local version of the tax reduction new policy is inconsistent with the top grid reduction. Over 90% of small and micro enterprises can benefit. Eight daily charts of A-shares: Open the door and win it! The industry theme is full of red. The organization shouted "Spring Quotes 2.0"!